Nel futuro ognuno sarà famoso nel mondo per 15 minuti. 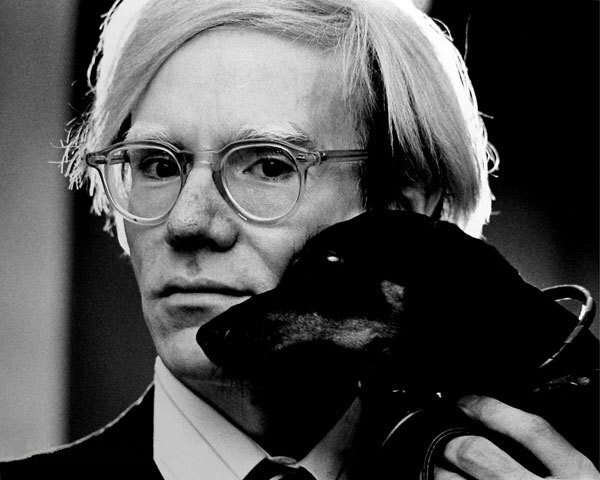 This entry was posted in Uncategorized and tagged Andy Warhol, art, arte, Blink of Words, Citazione, Future, Futuro, parole, Quote, Warhol, words on July 30, 2014 by littlecloudydreams. 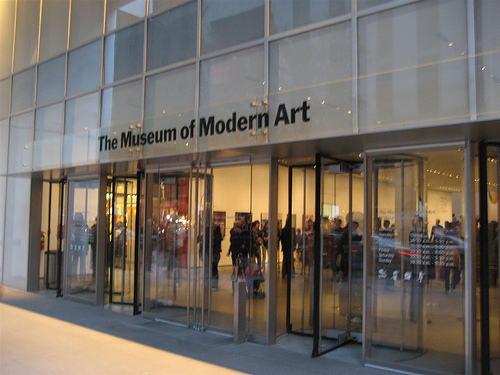 One of the reasons why I wish strongly to go to New York is its museums. 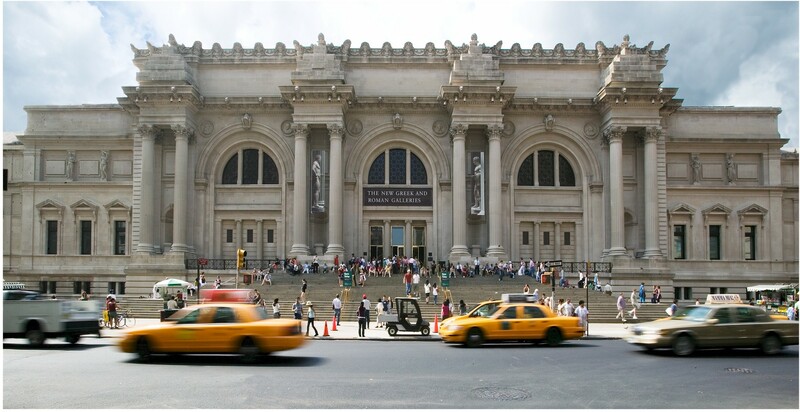 So today I decided to talking to some of the most famous museums in the Big Apple! 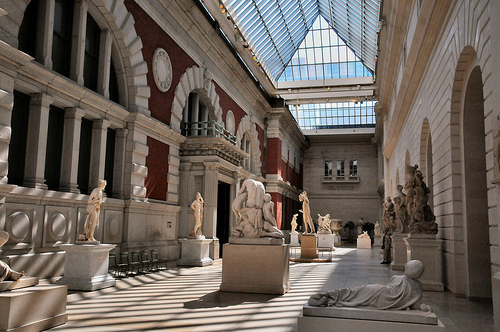 Metropolitan Museum of Art, also known as “The Met”. The Met is located on the right side of Central Park, along “Museum Mile”. The museum contains more than two million works of art, divided into several sections: Classical Antiquities, Ancient Egypt, paintings and sculptures of the great European masters, large collection of modern art, weapons, musical instruments and vintage clothes. It also has important collections of Islamic art, Byzantine, Asian and African. It was inaugurated in 1873 and change of location several times until the present site designed by architects Calvert Vaux and Jacob Wrey Mould. Famous is the collection of medieval art works on display also shows that in the branch, the Cloister. The Cloisters, located in Fort Tryon Park, was born from the idea of the curator William R. Valentiner and donations from John Davison Rockefeller jr., One of the main benefactors of the museum. The building houses parts of medieval monasteries and churches from all over Europe. Among the great masters of European painting are: Duccio, Giotto, Botticelli, Mantegna, Raphael, Caravaggio, Bruegel, Rembrandt, Goya, Monet, Degas, Van Gogh; and most famous works of contemporary art: Portrait of Gertrude Stein by Picasso , White Flag by Jasper Johns and Autumn Rhythm (No. 30) by Pollock. 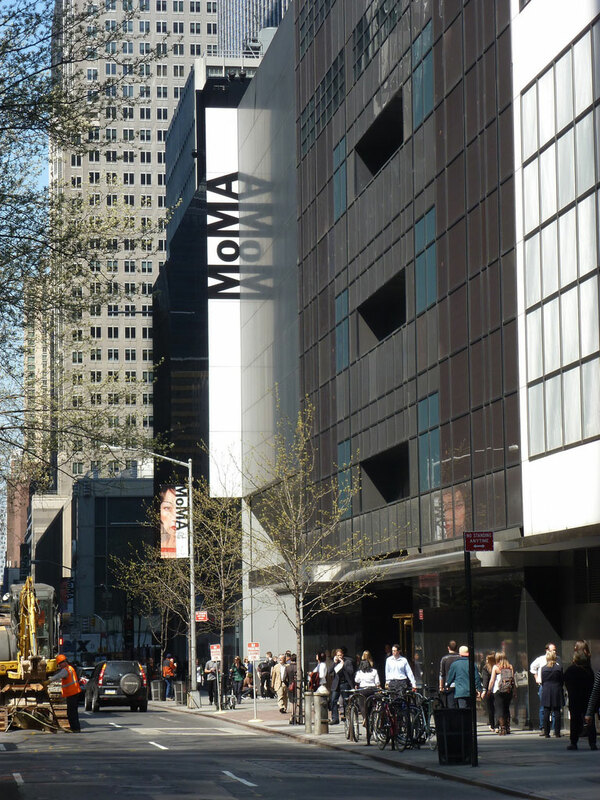 Uno dei motivi per cui desidero fortemente andare a New York sono i suoi musei. Quindi oggi ho deciso di parlavi di alcuni dei musei più famosi della Grande Mela! 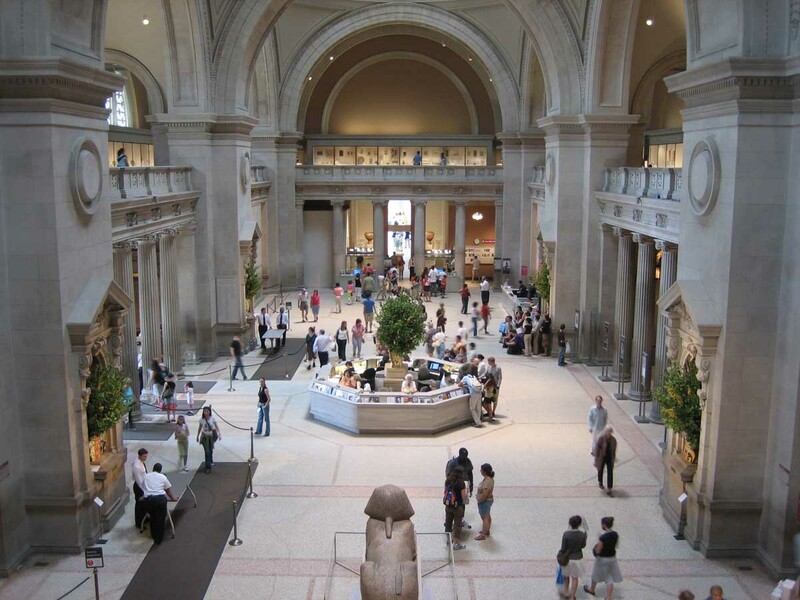 Metropolitan Museum of Art, conosciuto anche come “The Met”. Il Met si trova sul lato destro di Central Park, lungo il “Miglio dei Musei”. Il Museo contiene più di due milioni di opere d’arte, suddivise in diverse sezioni: antichità classiche, antico Egitto, dipinti e sculture dei grandi maestri europei, ampia collezione di arte moderna, armi, strumenti musicali e abiti d’epoca. Inoltre possiede importanti collezioni di opere d’arte islamiche, bizantine, asiatiche e africane. Venne inaugurato nel 1873 e cambio sede diverse volte, fino alla sede attuale progettata dagli architetti Calvert Vaux e Jacob Wrey Mould. Famosa è la collezione d’arte medioevale che vede opere esposte anche nella sede distaccata, la Cloister. La Cloisters, situata nel Fort Tryon Park, nacque dall’idea del curatore William R. Valentiner e dalle donazioni di John Davison Rockefeller jr., uno dei principali benefattori del museo. L’edificio ospita parti di chiese e monasteri medioevali provenienti da tutta Europa. Tra i grandi maestri della pittura europea troviamo: Duccio di Buoninsegna, Giotto, Botticelli,Mantegna, Raffaello, Caravaggio, Bruegel, Rembrandt, Goya,Monet, Degas, Van Gogh. Le opere di arte contemporanea più famose: Ritratto di Gertrude Stein di Picasso, White Flag di Jasper Johns e Autumn Rhythm (N°30) di Pollock. 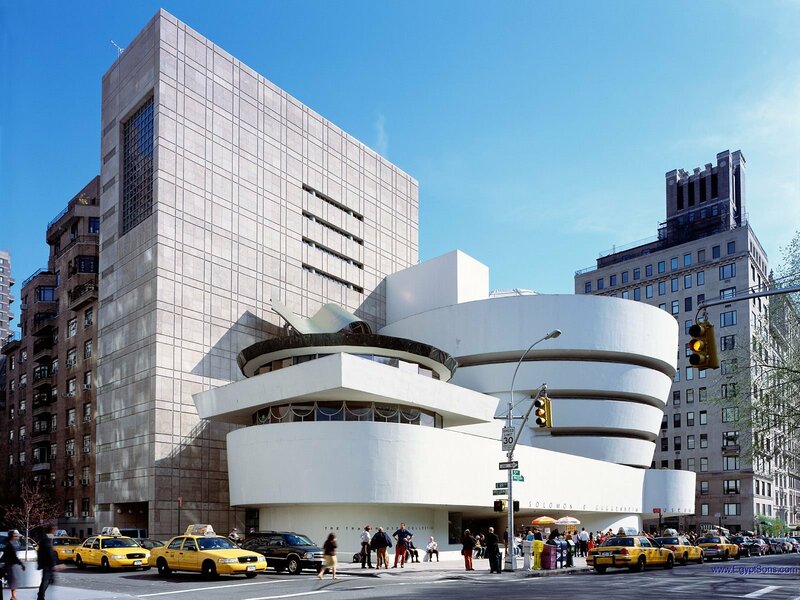 Solomon R. Guggenheim Museum on 5th Avenue, is considered a masterpiece of modern architecture. 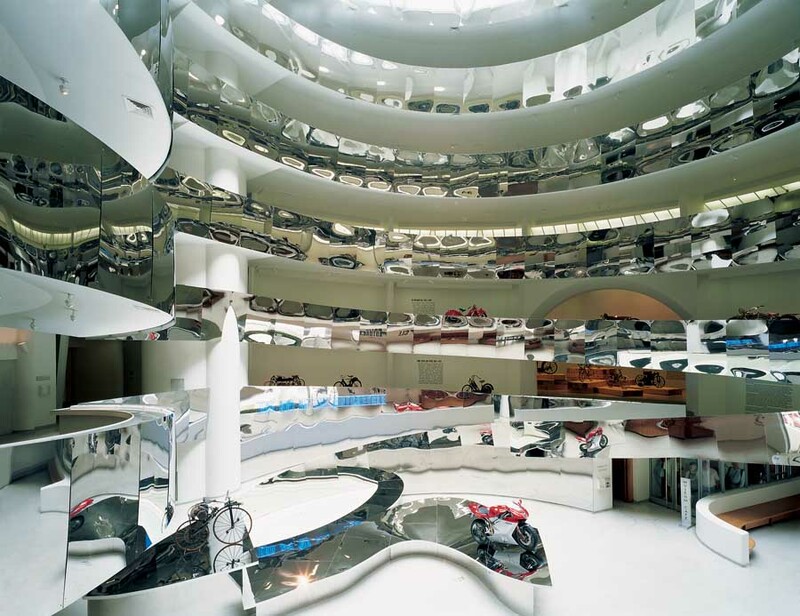 The building, designed by Frank Lloyd Wright, the outside looks like a huge white ribbon wrapped in a cylinder while inside the exhibition forms a spiral that starts from the ground and climbs to the top. 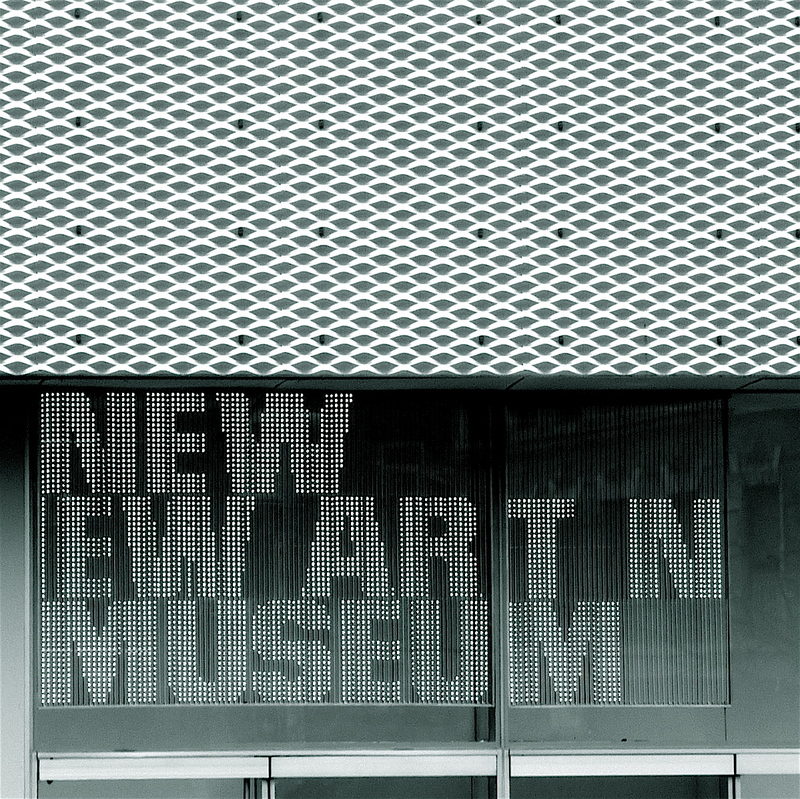 The museum was founded to house the works of avant-garde art. 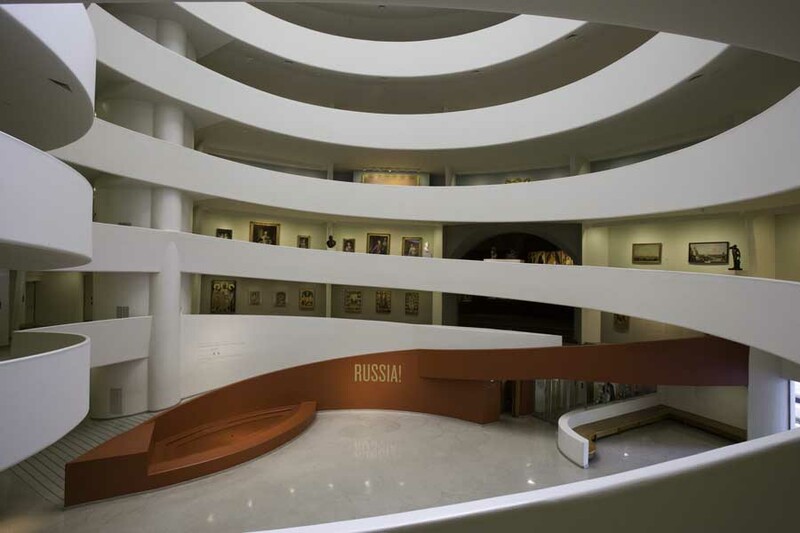 Works are exhibited at the Guggenheim: George Braque, Paul Cezanne, Marc Chagall, Vasily Kandinsky, Joan Miro, Piet Mondrian and Pablo Picasso. 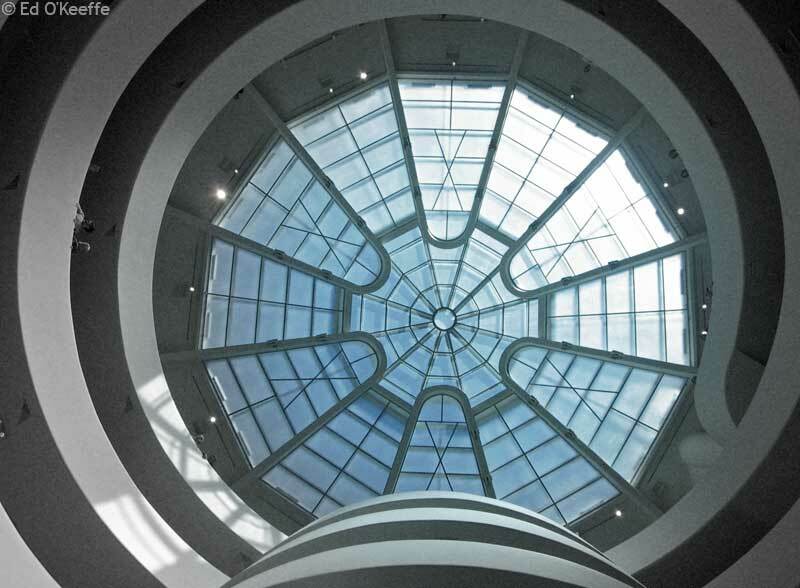 Solomon R. Guggenheim Museum, sulla 5th Avenue, è considerato un capolavoro dell’architettura moderna. L’edificio, progettato da Frank Lloyd Wright, all’esterno sembra un enorme nastro bianco avvolto ad un cilindro mentre internamente il percorso espositivo forma una spirale che parte dal piano terra e sale fino alla cima. Il museo nasce per ospitare le opere delle Avanguardie artistiche. 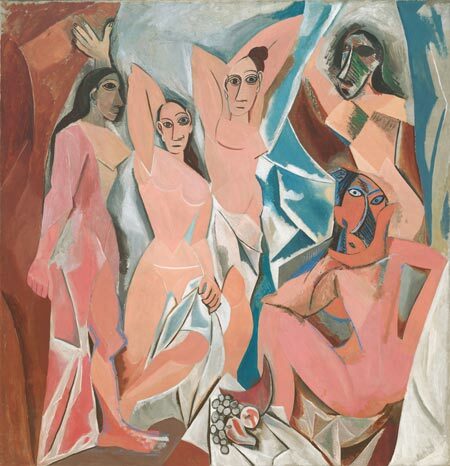 Al Guggenheim sono esposte opere di: George Braque, Paul Cézanne, Marc Chagall, Vasily Kandinsky, Joan Mirò, Piet Mondrian e Pablo Picasso. 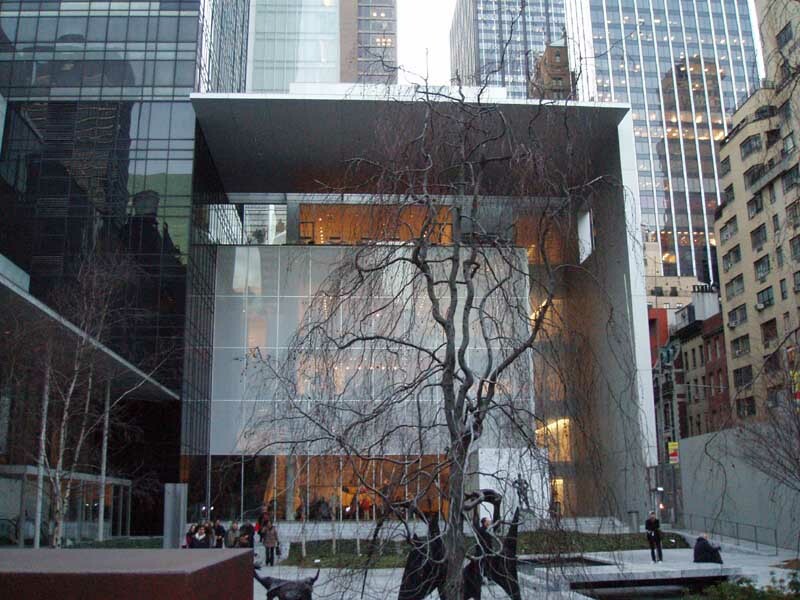 Whitney Museum of American Art is the museum of modern art to the United States and this has mainly works by American artists. 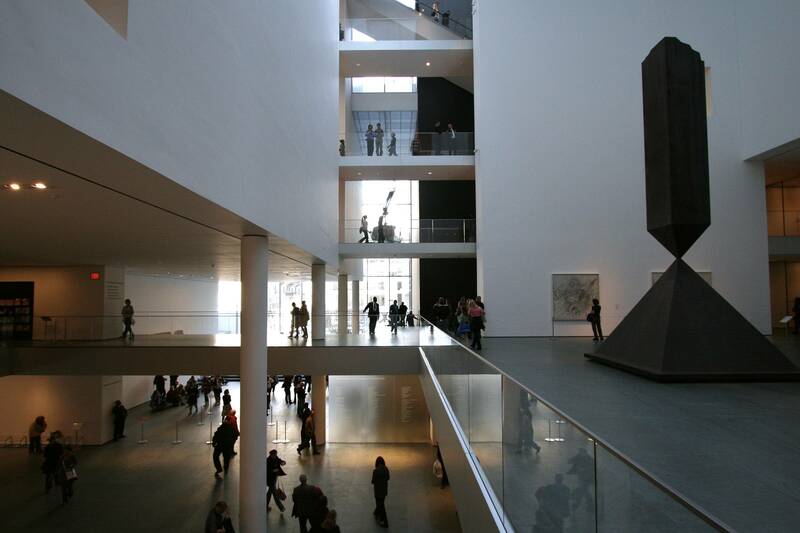 The Whitney is famous for the “Whitney Biennial”, dedicated to contemporary art exhibitions which are held every two years. 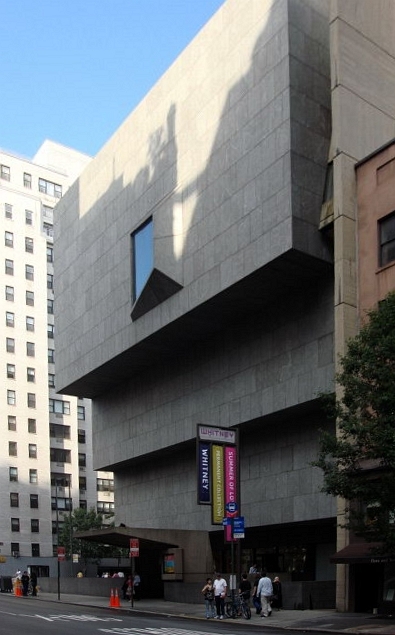 The museum was founded in 1931 by the sculptor Gertrude Vanderbilt Whitney, after the experience at the Whitney Studio, an exhibition space for emerging artists. 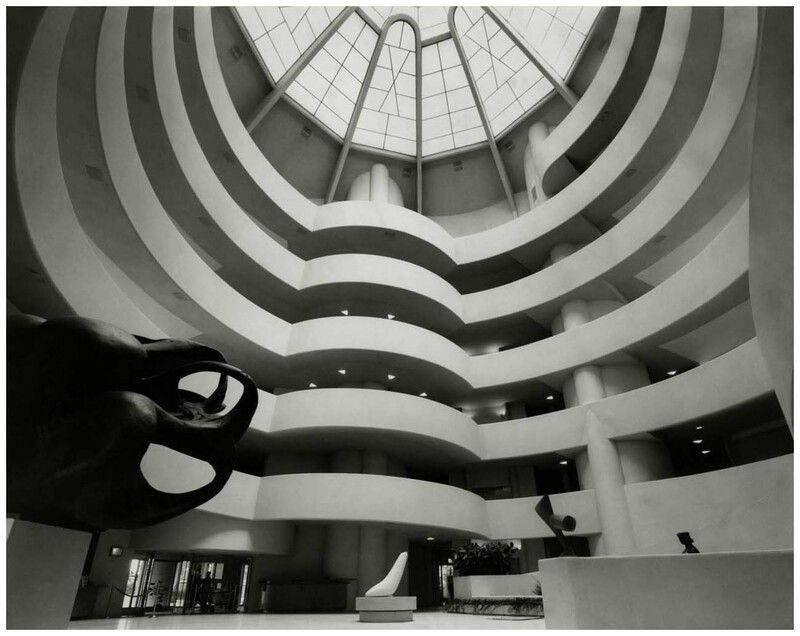 The current headquarters is on Madison Avenue was designed by Marcel Breuer and was inaugurated in 1966 by Jacqueline Kennedy. In 2004 Renzo Piano deals with the enlargement of the building, with the creation of another exhibition wing, a center for schools, an auditorium and a library. Among the most important artists that are exposed are Edward Hopper, Alexander Calder, and Maurice Prendergast. 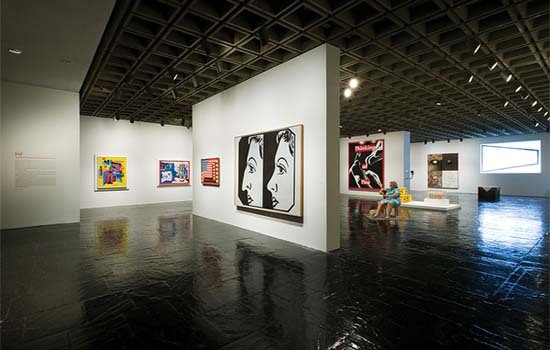 Whitney Museum of American Art è il museo dell’arte moderna statunitense e per questo ospita principalmente opere di artisti americani. 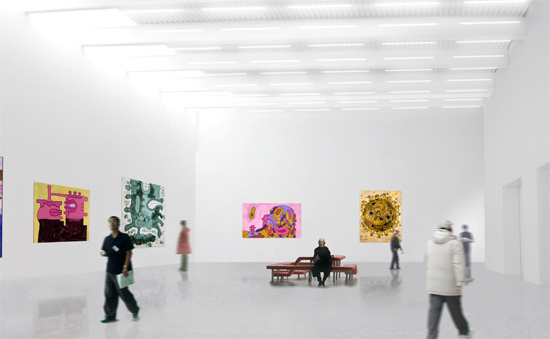 Il Whitney è famoso per le “Whitney Biennal”, manifestazioni dedicata all’arte contemporanea che si tengono ogni due anni. 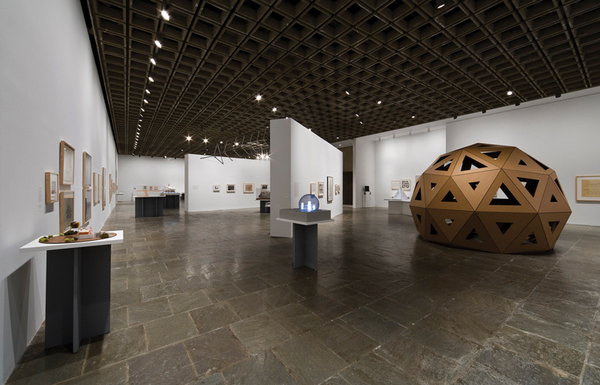 Il museo viene fondato nel 1931 dalla scultrice Gertrude Vanderbilt Whitney, dopo l’esperienza fatta al Whitney Studio, uno spazio espositivo per giovani artisti emergenti. 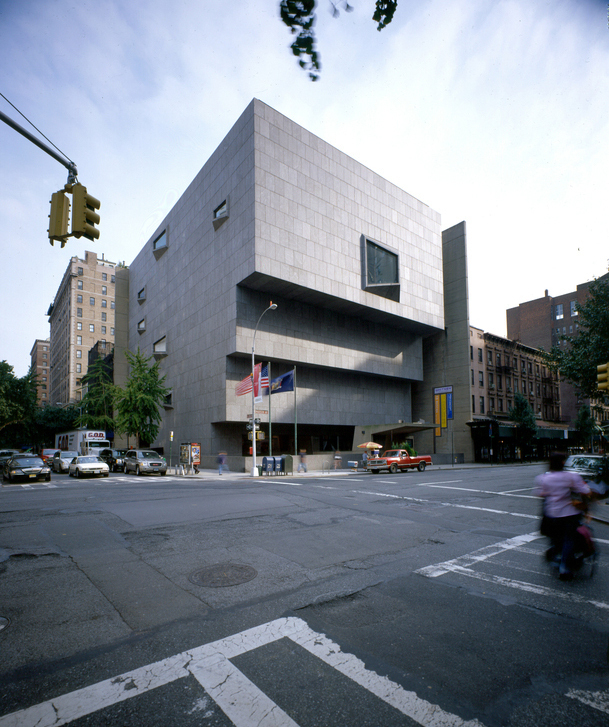 La sede attuale è sulla Madison Avenue fu progettata da Marcel Breuer e venne inaugurata nel 1966 da Jacqueline Kennedy. Nel 2004 Renzo Piano si occupa dell’ampliamento dell’edificio, con la creazione di un altra ala espositiva, un centro per le scuole, un auditorium e una biblioteca. Tra gli artisti più importanti che sono esposti troviamo Edward Hopper, Alexander Calder e Maurice Prendergast. 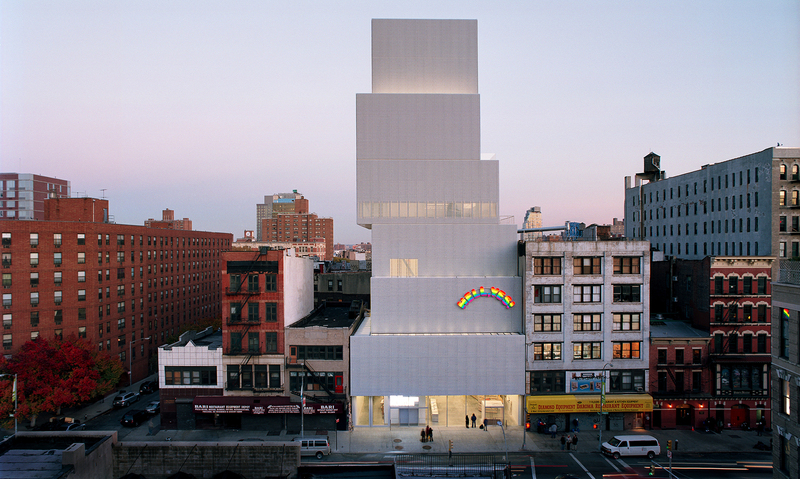 The New Museum of Contemporary Art presents an important collection of contemporary art from all over the world. 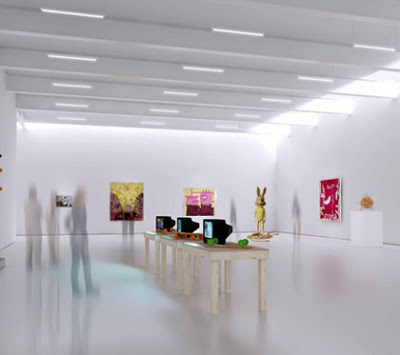 The Museum was founded in 1977 by Marcia Tucker and today houses the works of artists such as William Kentridge, David Wojnarowicx and Paul McCarthy. 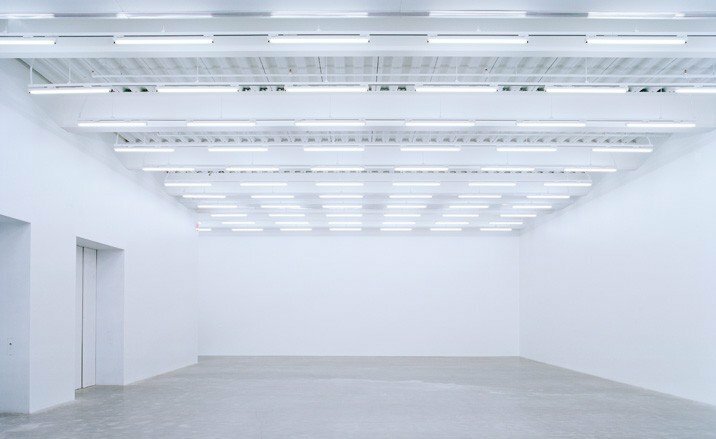 Il New Museum of Contemporary Art presenta un’importante collezione di opere d’arte contemporanea proveniente da tutto il mondo. Il Museo fu fondato nel 1977 da Marcia Tucker e oggi ospita i lavori di artisti come William Kentridge, David Wojnarowicx e Paul McCarthy. This entry was posted in Uncategorized and tagged Alexander Calder, Alfred H. Barrjr, Andy Warhol, art, Boccioni, Botticelli, Bruegel, Calvert Vaux, Caravaggio, Central Park, Cezanne, Charles and Ray Eames, Cindy Sherman, city, Culture, Degas, Duccio di Buoninsegna, Edward Hopper, Frank Lloyd Wright, Georgia O'Keeffe, Gertrude Stein, Gertrude Vanderbilt Whitney, Giotto, Goya, Guggenheim Museum, JAcob Wrey Mould, Jacqueline Kennedy, Jasper Johns, Jean-Michel Basquiat, Kandinsky, Laszlò, Mantegna, Marcel Breuer, Marcia Tucker, Metropolitan Museum of Art, Mondrian, Monet, Museum, Museum Mile, Museum of Modern Art, New York, New York City, NY, NYC, Paul McCarthy, Picasso, Pollock, Raffaello, Rembrandt, Renzo Piano, Rockefeller, Solomon R. Guggenheim, The Cloister, The Ladies, The Met, The New Museum of Contemporary Art, Whitney Biennal, Whitney Museum of American Art, William Kentridge, William R. Valentiner on July 3, 2013 by littlecloudydreams.